Property Solutions 360 is a full service painting, home improvement and lawn care company that has been serving the Sandhills for 10 years. Our company specializes in exterior and interior painting, custom counter tops and lawn care and we are committed to satisfaction on every job we start. 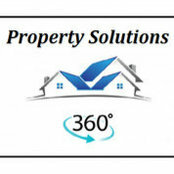 At Property Solutions 360, we’ll arrange our work to accommodate your schedule. We’re on time every time and we'll stay in touch with you continually during the project. Property Solutions 360 is dedicated to providing quality workmanship, drug free employees, employees of high moral character, high quality Sherwin Williams paints, exceptional warranties, and the satisfaction you deserve.